Betsy started Sonehouse Studio in 2006 and has been working in polymer for 10 years. The name Stonehouse comes from the Maya word Xcanatun, which means tall stone house. Betsy was born and raised in Latin America and had a successful travel management career prior to becoming a full time artist. 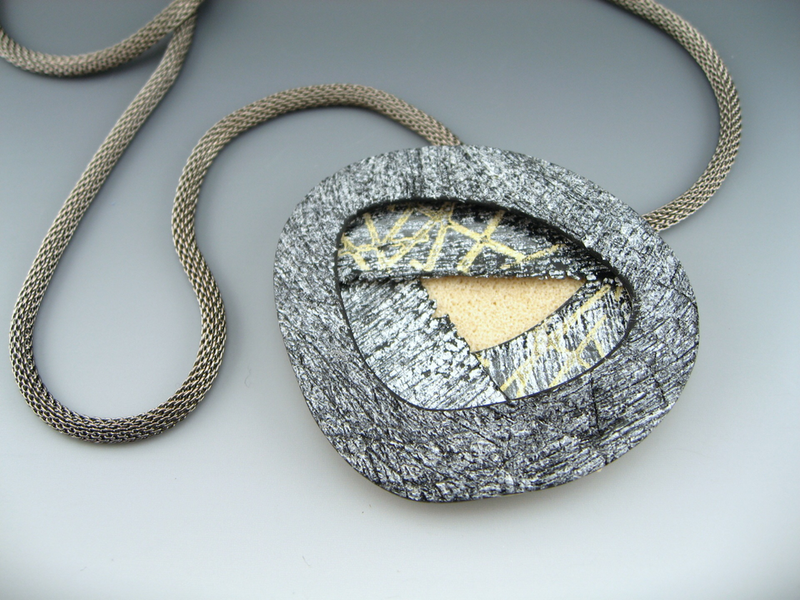 Betsy hand fabricates one of a kind and limited edition contemporary studio jewelry in polymer and mixed metals featuring hollow construction polymer techniques with mixed media surface effects using paint, texture, and inclusions. 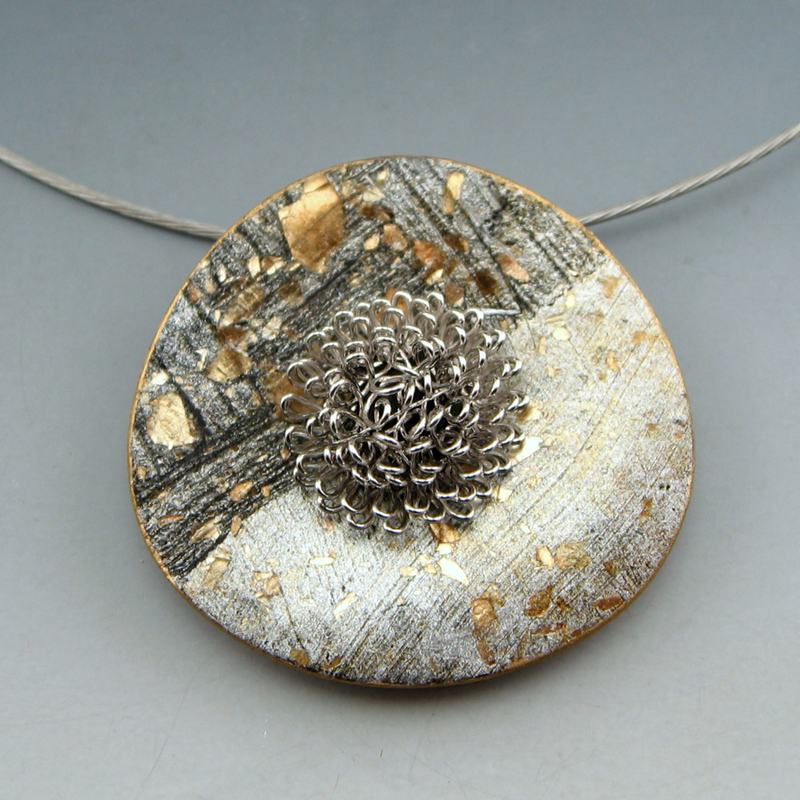 Pieces are accented with hand fabricated mixed metals and re-purposed vintage jewelry components. 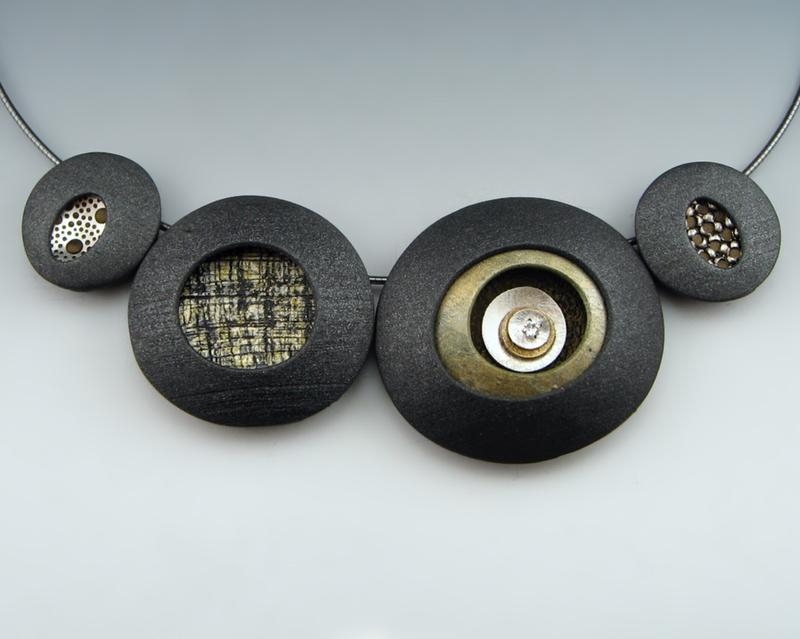 The work is contemporary, elegant and simple, investigating the effects of layers and textures by using repetition, variation and juxtaposition of shapes.